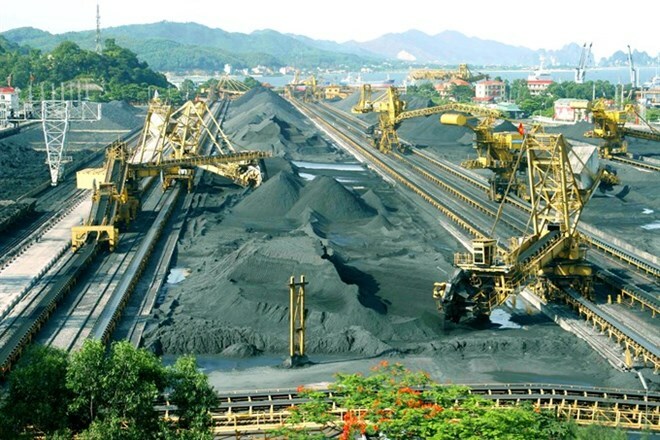 Hanoi (VNA) – The Vietnam National Coal and Mineral Industries Group (Vinacomin) aims to produce and sell 41 tonnes of coal in 2019, a year-on-year increase of 10-15 percent. Vinacomin said the group this year planned to reach an output of 39 tonnes of coal. To reach the target, Vinacomin would review and rearrange the production ability of its member companies to make appropriate plans. This includes 34.2 million tonnes of clean coal by the year-end, up 1.32 million tonnes from last year. The group produced over 20 million tonnes of coal, including 19.3 million of clean coal, in the first seven months of the year. During that time, it has sold approximately 22 million tonnes of coal, 3.8 million tonnes more than the same period last year. It also fired or laid off around 3,000 labourers over the same period. Vinacomin said it would increase ownership rate at its four member companies including Cao Son, Coc Sau, Ha Tu and Mong Duong to prepare for consolidation of some pit coal mines in 2019-20. The group said it has implemented a restructuring project for the 2017-20 period. It completed consolidation of two mining construction companies 1 and 2 into the TKV Mining Construction Company, merging Hong Thai Coal Company into Uong Bi Coal Company and Hon Gai Logistics Company into Hon Gai Coal Company. The group has implemented the first step to restructure labour and assets to merge the Red River Delta Coal Management Project into the Institute of Mining Science and Technology. It would also privatise two member companies, divest capital at six other companies and sell shares at another six units.